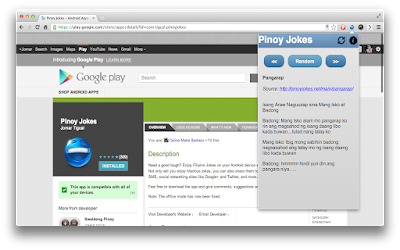 After publishing my Pinoy Jokes Android App on Google Play, I worked on creating an extension for Google Chrome. 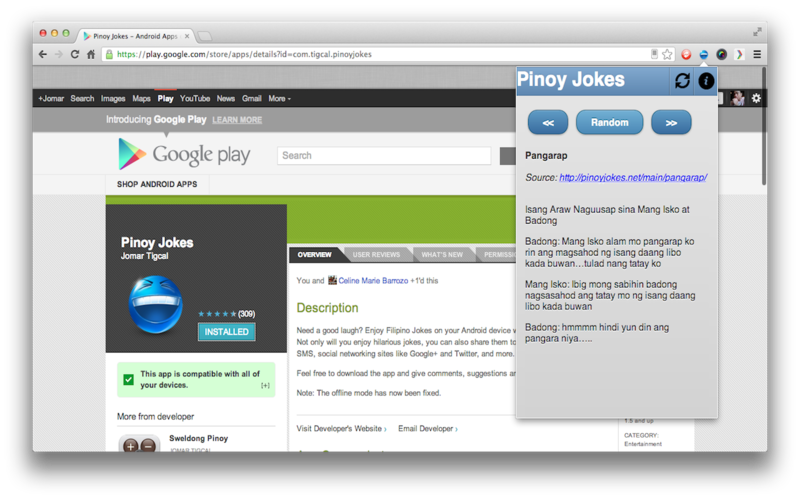 It took a while for me to come up with the initial version but now the Pinoy Jokes Chrome Extension is now available on the Google Chrome Web Store. I plan to update this as I update the Android App. If you still haven't installed the Android app, download it now on Google Play.